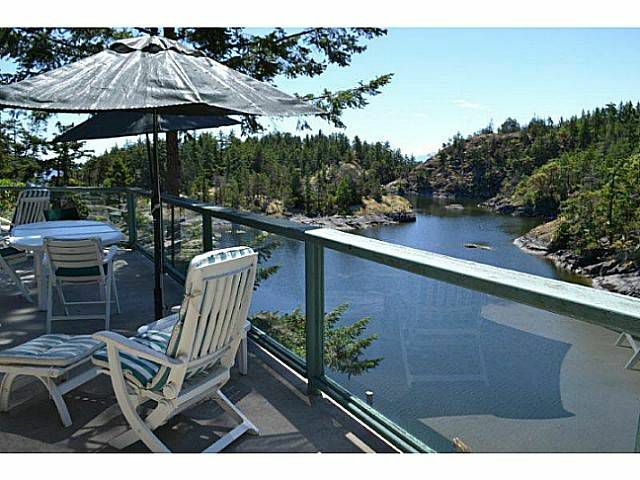 Spectacular setting overlooking Frenchman's Cove and adjacent to Smugglar's Cove Park for a very private setting this home will impress you. Custom built by Doug Spani in 2000. With an open floor plan, lots of windows andexpansive patios entertaining family and friends will be a delight. The master bedroom is super spacious with patio access. The second bedroom also has it's own ensuite and walk in closet. The loft area is fabulous for children and guests with lots of storage too. A must see if you want privacy and a special location off the beaten path. Deep water moorage, with dock, ramp and more.